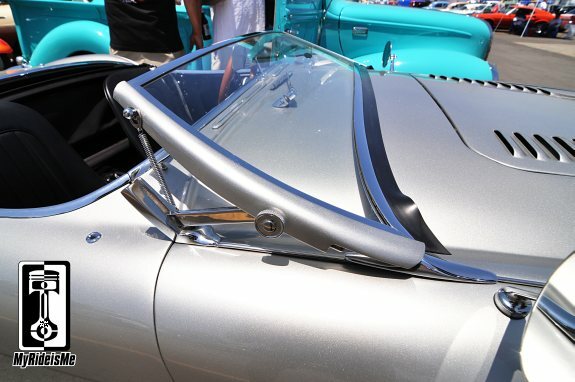 Otherwise, here are a few random, “Best of’s” from the 2013 LA Roadster Show. 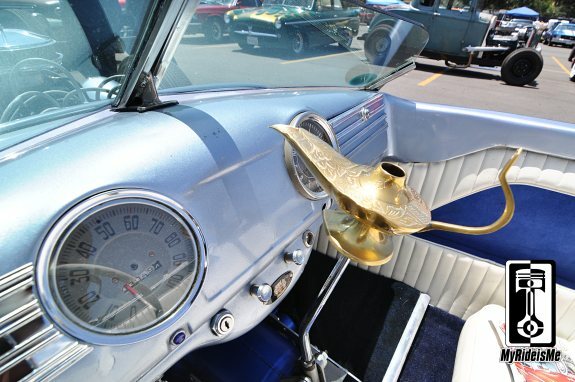 If you were a Genie, wouldn't you like to ride in a hot rod? Gotta be the coolest shift knob at the show! Dude was OUT COLD! But it was late in the day and his pops probably had him up early to hit the swap. 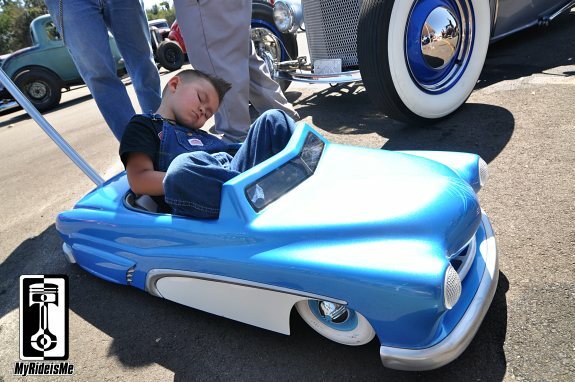 WIN for the coolest pedal car, maybe on the planet. Winner for "Best of" idea for a slick, idea for my roadster. 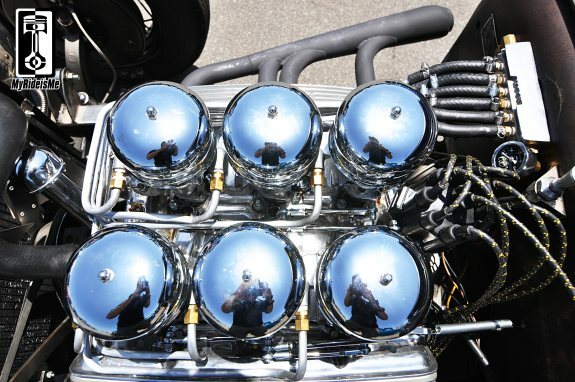 Wouldn't this be cool on a Bonneville-leaning, mostly traditional roadster? Winner for "best patients"!! 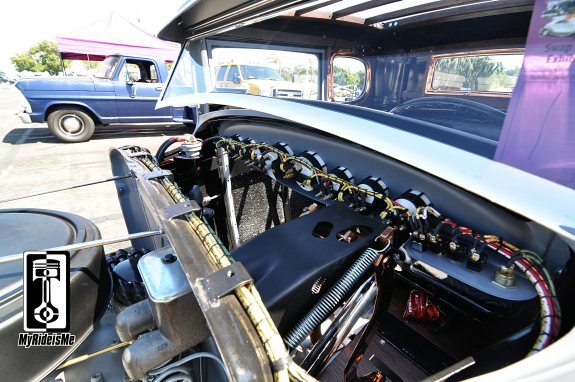 Dig the meticulous layout and finish of the wiring for the gauges on this coupe. Well done sir! 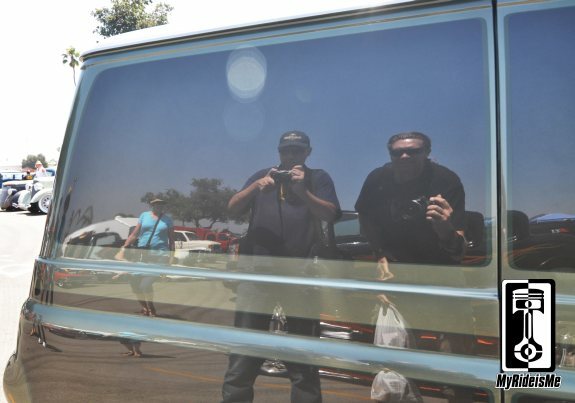 Best use of a flat-as-hell panel on the Econoline van built by Coby from "Church". This truck's a winner from any angle. Multiple winner. 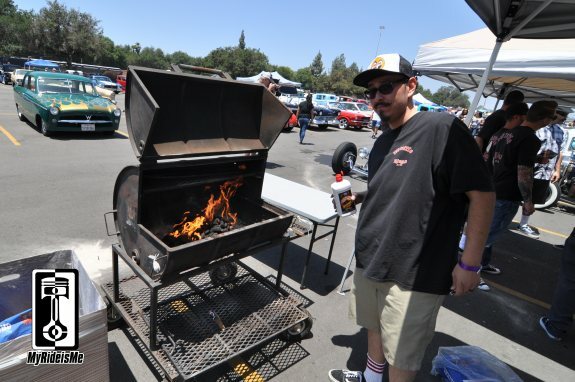 Best use of mustache and best grilling pose at the LA Roadster Show!! Do it Mike! 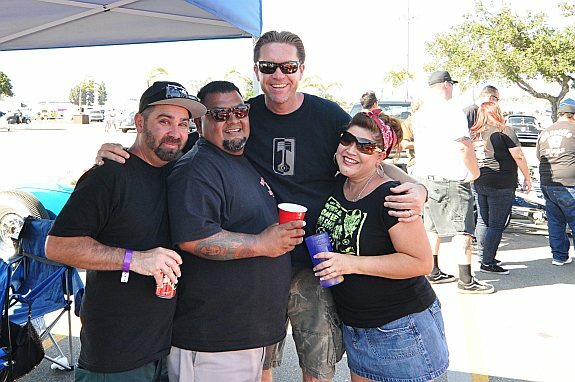 Winner of, best reason to come back to LA Roadster Show every year: Party with the Throttle Kings. Great friends for life! Thanks guys!! Until next year! If you’ve got some “best of” shots I missed, let me know. I’d love to see them. Email to moc.emsiedirymnull@RAL.